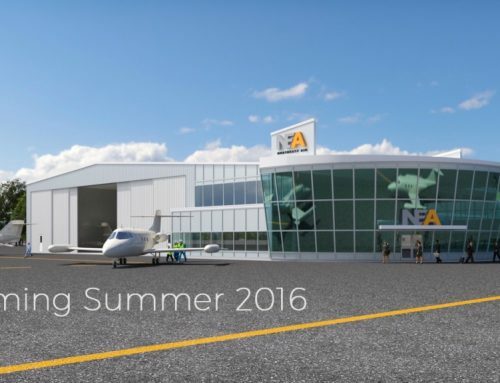 After years of planning and months of construction, the brand new Northeast Air general aviation terminal had its grand opening celebration on Friday, July 29, 2016. Our closest friends, family, customers, and vendors joined us at the new facility to ring in this huge accomplishment. 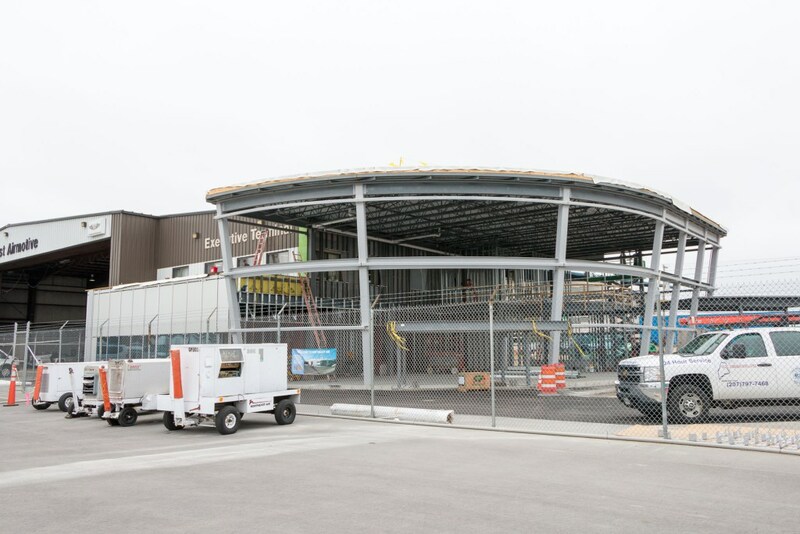 After more than a year of planning, in February 2016, the process of building the Northeast Air’s new GA terminal commenced with the demolition of the former Portland International Jetport main terminal building, a building that hadn’t been used as a terminal for more than 30 years. While the old PWM building was a piece of Jetport history, it had fallen into disrepair, and would soon be nearly vacant. Next door, NEA’s functioning GA terminal building was no longer meeting the the private aircraft traffic and parking needs. It was time for a teardown and rebuild. 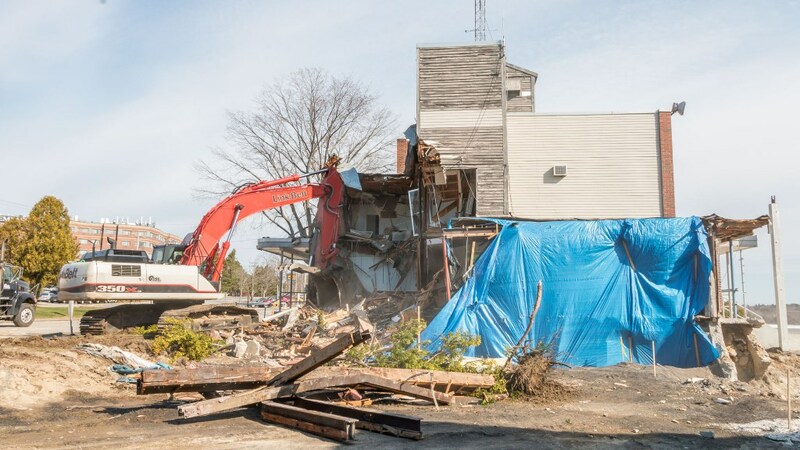 While the old Jetport terminal building was being razed, construction of the new Northeast Air General Aviation terminal next door began at a fever pitch. 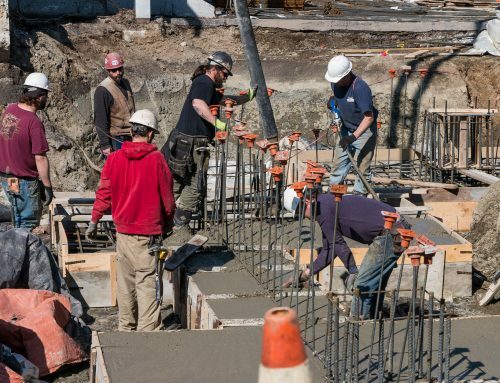 Exterior walls were removed, concrete footings were poured, and a parking lot was laid out. In May, the line counter and waiting area were moved to a temporary trailer on our ramp while the new building’s steel frame was installed. 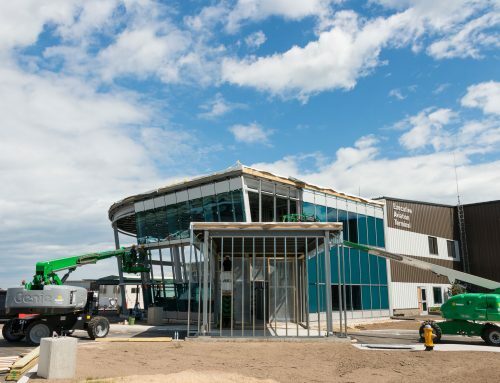 By late June, the exterior glass was being installed, and interior work had begun. Finally, in late July, finishing touches were being made in time for our grand opening celebration. Many people don’t realize that Northeast Air has been around for more than 45 years, in one form or another. 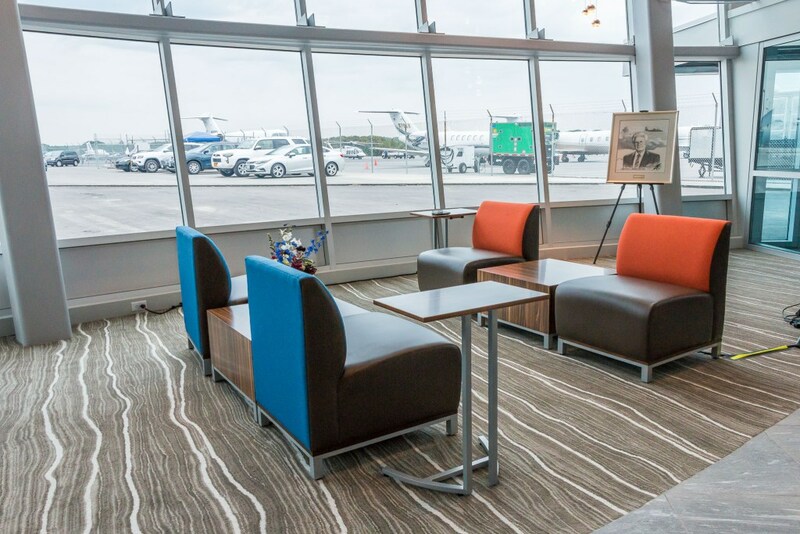 Founded in 1969 by Henry “Sandy” Laughlin, Jr., the FBO has seen several iterations and upgrades. 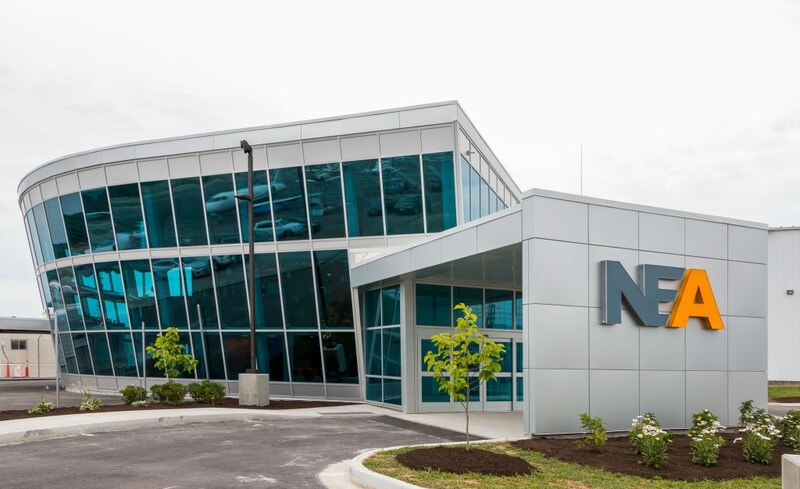 From its humble beginnings in a Quonset hut next to the old airfield terminal, to its current incarnation in its modern facility, Northeast Air has always valued an exceptional customer experience by building trust and providing excellent value to its customers. 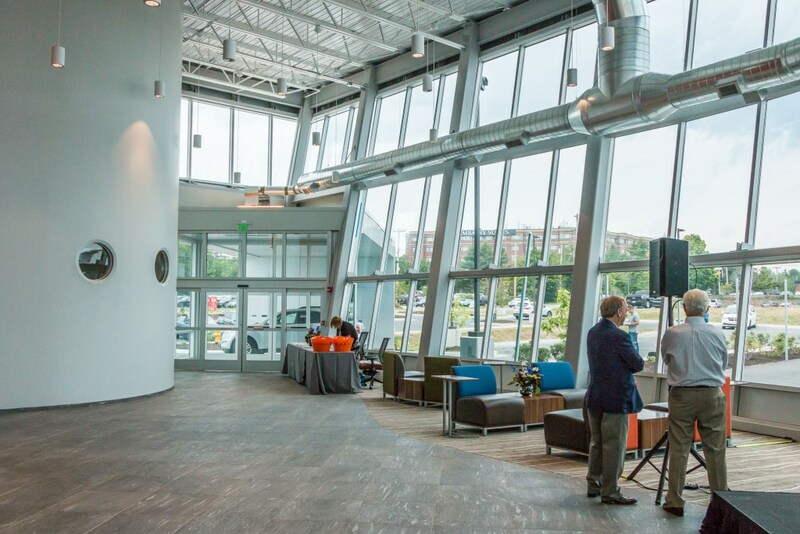 On July 29, 2016 we invited over 200 family, friends, customers, and vendors to experience the new general aviation terminal building, celebrating a new phase in Northeast Air’s history. 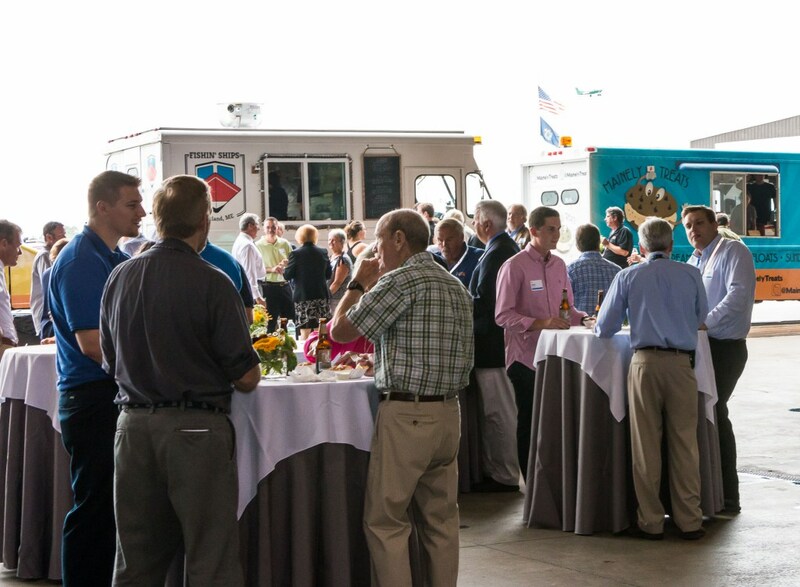 With speeches from honored dignitaries, delicious food provided by local food truck vendors, toys and games for the kids, and aircraft displays ranging from NEA’s early beginnings to today, the celebration marked a major milestone for Northeast Air. Our grand opening celebration was covered by several media sources. Thanks to that coverage, Mainers now know that Northeast Air is—and has always been—a major source of business in Maine, a trusted employer, and a safety minded company that touches nearly every flight that leaves the Portland International Jetport. Whether we’re deicing a frosted plane in the dead of winter, or braving the searing heat of summer to fuel both commercial and private aircraft, Northeast Air is there to make each flight experience as smooth as possible. None of this, however, would have been possible without the talent and dedication of the architects, engineers, contractors, and builders who worked tirelessly to make the terminal building presentable for our guests. Special thanks go out to Allied Engineering, Benchmark Construction, Grant Hays Associates, Shaw Brothers Construction, and the numerous subcontractors who made this beautiful, contemporary work of art happen. In the coming weeks, as we apply the finishing touches to our new terminal building, we’ll take you on a virtual tour of the facilities, both here and on Facebook, to give you an idea of what you can expect when you visit Northeast Air. One thing that won’t change, however, is our dedication to an absolutely delightful customer experience.